As a participant in a Chicago bike ride for one of the Earth Day celebrations in the late 80's, I received a simple little twelve-inch evergreen sapling. Appeasing me, my Dad planted this along the side of our house, not sure what kind of growth might be ahead, as we didn't even know the variety, or whether it would take. This tree grew beautiful and quite large, eventually covering up our kitchen window. The coolest part of that was that we literally had a birds-eye view ALL the time from our kitchen while doing dishes, or eating at the table. We could watch all the bird activity up high within the tree. We learned about putting decals on our kitchen windows so the birds wouldn't keep flying into the glass. It's been about 30 years since that little sapling was planted. 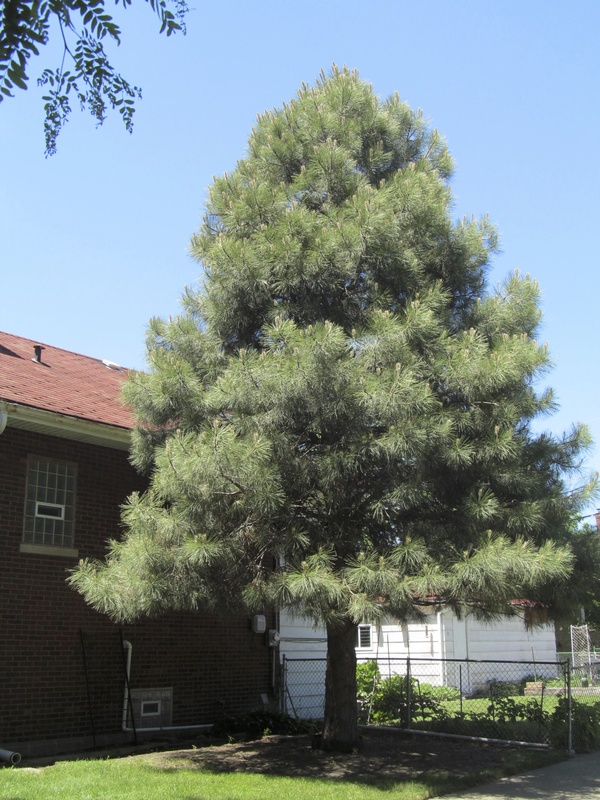 My parents moved from that home to Downers Grove a few years ago but left behind a very large and stately mature evergreen for the next owners to love as we did. It literally grew up, right along with us. And we had the best seats in the house for the view inside!